What if I told you the Holy Grail, happiness, was at your fingertips? Would you invest two minutes a day if you could find happiness? For years, most of us have been in the pursuit of success…all with the impression that it would lead to happiness. So why then do we always focus on the fleeting mood enhancers to sooth the soul when happiness is truly attainable? It is not the destination, but the journey. Enjoy the journey! A few weeks ago I met Shawn Achor, a Harvard graduate, who for twelve years taught the science of Happiness (the most popular class at Harvard) and a (2 time) New York Times bestselling author on the subject. He is one of the world’s leading experts on the connection between happiness and success. Needless to say, Shawn is a happy guy! Shawn is a fascinating speaker and really challenged this room full of CEOs to consider viewing the world through a different lens, although a lot of these things are right in front of us daily. Shawn’s research proves that when people work with a positive mindset, performance improves on several levels from productivity to creativity to engagement. Takeaway: Positive individual changes ripple through an organization (including your family) to create cultural change. The great news is that all of this is trainable and teachable. It just takes effort…much like going to the gym. Just like building your muscles, you can rewire your brain. Shawn’s research has shown that just a little effort daily over the course of as little as three weeks can have dramatic (and lasting) effects on your team. What do I mean by dramatic effect? Happier, more productive employees drive more PROFITS! So, how? Really, it’s pretty simple techniques that even you and I can do today. In one story Shawn shared (which is on his website) he discusses asking a team to select one of several daily exercises to help promote a more positive environment. The group of employees practicing the above exercises showed significant improvement over a control group in just 3 weeks (things like feeling less depressed, better general well-being, increased work engagement, etc) by doing one simple exercise a day for only a few minutes. In just a few months the gap widened on the life satisfaction scale. After just 21 days, your brain is trained to automatically scan for the positive things you have been identifying and linking them together creating a more positive and happier you. Takeaway: More positivity = Greater life satisfaction = More profit/success. 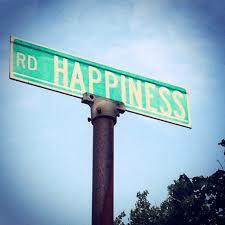 NOTICE: It is not the other way around…success, a promotion or a new “thing” does not create happiness. Shawn also shared a great story of a large employer who broke an industry mold and is now reaching new levels of production by following a new method of hiring. Historically they tested for intelligence. Hard to argue that intelligence is a decent indicator of potential success in a financial services business development position. However, what this research proved is that testing for positive attitude produced far greater results. Hiring for positivity produced 19% higher results in year one compared to traditional hires and the results climbed from there. I am definitely a “glass half full” kind of guy. So, this message resonated with me. Whether you believe in the power of positivity or not, take a few minutes and watch the TEDx talk that Shawn did. Over 8 million people have watched it…maybe you should too. Then, share your thoughts and let me know what things work for you in business and life. Rich is a recruiting industry veteran with a unique blend of large corporate experience and dynamic entrepreneurial spirit. Rich works with every level of business, from emerging growth to Fortune 500 companies, and is key in client development and recruiting talent both internally and for clients. As a founding partner of The Fahrenheit Group, Rich brings more than 15 years of recruiting industry experience to the firm and is a well networked connector. This give our firm the ability to leverage relationships to help clients accomplish their goals.